Gandhidham... a newly built township for the displaced after the havoc created by partition of India in 1947, has been aptly named after the great nationalist and freedom fighter Mahatma Gandhi. Just 60 kms from Bhuj, this place is actually a barren land which was left for the resettlement of the people who migrated from Pakistan to India via this route. 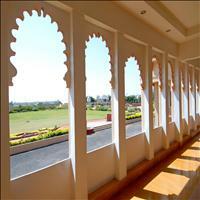 <B>Kandla</B> is a major port nearby and is the only free trade zone of India. 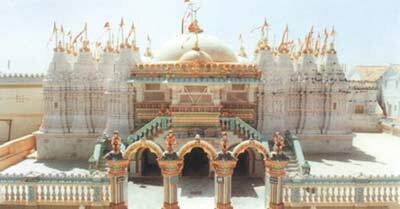 There are many beautiful temples in Gandhidham and one monument dedicated to Mahatma Gandhi, which is worth visiting. 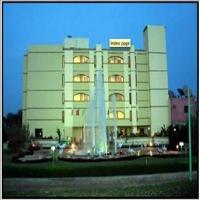 <br />Some places worth visiting from Gandhidham are the <B>Khavada</B> handicrafts village and the Flamingo colony. <B>Bhadreshwar</B> and <B>Purneshwar</B> are the two temple villages to be visited from this place.